Ok, ok, so a few weeks ago we wrote why you really want to rent a house in the Jordaan. Not that we are against it now, but we did it, we took the ferry across to Amsterdam North or simply Noord. Wind in your face, water splashing and birds circling your head, it is an experience. 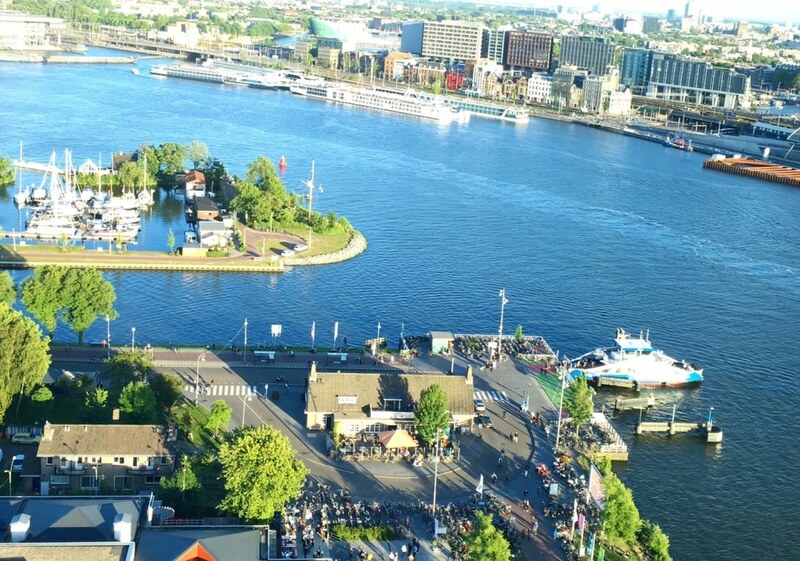 What is the best part about renting in Amsterdam north? Rental property is big, better yet, huge in comparison to central Amsterdam and in general, rentals are cheaper. To convince you, we have looked up some facts. Amsterdam North counts about 19.000 inhabitants on 45km2. For comparison, that is the same amount as on a couple of km2 in the Jordaan. On top, it is a pretty green area and the air is fresh. 50% of your neighbors are aged from twenty five to sixty five and only 10! between four and twelve years old – that’s much less kids than we thought. Also noteworthy, of all areas in the city, after the Center, North has the lowest birth rate. This means families move there much later. Since we started collecting data – about 1 year ago – there have been about new 750 rentals in North. There is probably one for you among them. Of all the city areas, most people born in the area and actually living there are in North. So this is your chance to befriend a “real” one. Also, great talent has come from North, like: Patrick Kluivert, Sam de Jong en De Jeugd Van Tegenwoordig are all from across the pond. What RentSlam does is search almost every place online for new available rental apartments in Amsterdam. We do this every couple of minutes and match the new properties with your search criteria. As soon as there is a match, we send you the link to that property by email. You can now respond to any rental apartment in Amsterdam as soon as it comes online and without wasting your time searching for it. Try it for a month and let us know what you think.